Get the Funk Out! : Visionary thinker, Global Women’s Director at Nike, to CEO/President of Lucy Activewear, Shaz Kahng joined host Janeane Bernstein 8/28 at 9:45am pst! 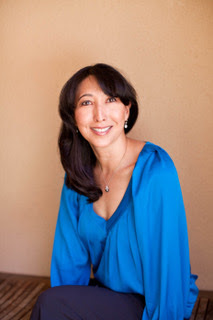 Visionary thinker, Global Women’s Director at Nike, to CEO/President of Lucy Activewear, Shaz Kahng joined host Janeane Bernstein 8/28 at 9:45am pst! LISTEN to Shaz on today's show! Sometimes the best man for a job is a strong woman. In the first book in her Ceiling Smasher series focusing on positive powerful female leaders, senior executive Shaz Kahng fictionalizes her decades of top business experience to create a thrilling story of the first female CEO in the sports industry. Kahng’s vast experience working in male-dominated boardrooms enables her to provide a behind the scenes look at what it’s like to work in the sports sector as a woman and what it takes to shatter the glass ceiling. Shaz Kahng is a visionary leader and inventive thinker adept at turning around and scaling businesses in the retail, sports/active apparel, and footwear industries. From Global Women’s Director at Nike, to CEO/President of Lucy Activewear, she has led teams to achieve success in very male-dominated industries. She has previously worked as a research scientist, a global consulting partner, a builder of e-businesses, and a brand strategist. She graduated from Cornell University and has an MBA from the Wharton School. Shaz currently works as a global startup mentor and advisor to PE and VC firms. She lives in San Francisco with her husband and twin daughters. Vivien stumbles early on, making a series of rookie mistakes. With guidance from the Ceiling Smashers, a secret society of successful professional women, Vivien learns to navigate the treacherous business terrain. A tight-knit group of male sports executives is determined to show that an industry outsider cannot prevail. The challenge is all too clear: will Vivien triumph in the sports industry against impossible odds? 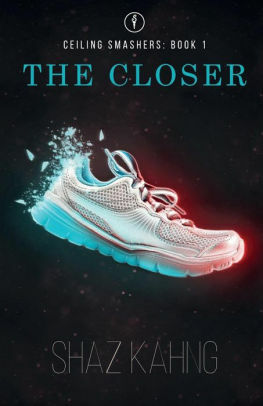 The Closer is a fresh, riveting tale about a strong woman endeavoring to succeed with smarts, scruples, and style. Fans of Sheryl Sandberg’s Lean In will love this book for its strong, talented, and likeable female characters and the supportive environment they foster through their secret society, the Ceiling Smashers. The Closer sends a message of hope and positivity to all workingwomen out there striving to achieve more. · The Super Powers of Ceiling Smashers—what qualities do these women embody? I really think that college education means a lot these days. On this website you can learn a lot about it.